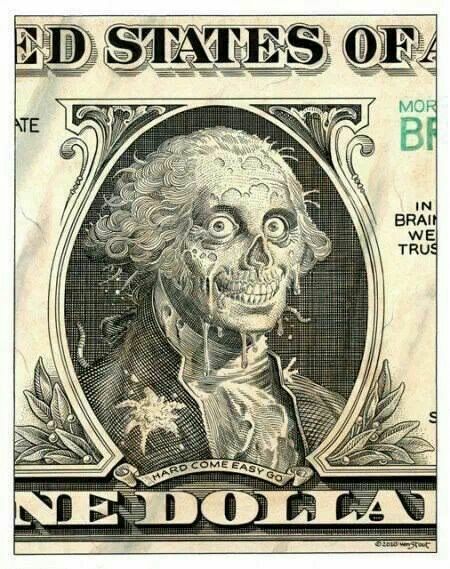 The dollar is well and alive. There is no financial apocalypse. Contrary to many predictions that the dollar is no longer a viable reserve currency and is therefore doomed, the dollar did not die but bounced up against most international currencies. The USD Index climbed above the 85 level after maintaining the 80 psychological level for the last one year. It almost hit an all time high again over the last 5 years. Why does the USD defy financial laws of gravity and continue to soar? This perplexing resilience comes in the face of unabated mounting US debt, high unemployment, threats of Ebola epidemic and a very de-stabilised world. Is the USD the de facto safe haven in times of turbulence or is this simply a physiological legacy. Or is there a nefarious banking cartel that is manipulating the markets with its mighty financial might propping up the dollar through derivatives? Since the financial catastrophe that erupted over banking failures in the USA in 2008, the world’s financial system has morphed into a new paradigm. Traditional economic theories are taken to the beaten tracks to be trashed and trampled. Eminent economic gurus debated furiously over theories about the causes for the financial failures with many offering all kinds of prescription to save the financial system from collapse. Never mind the academic gurus, the Federal Reserve, being the biggest financial banking cartel, has its final say. Liquidity is the culprit! So it is. Armed with this new paradigm, the Fed initiated a series of humongous money printing. Money is now free. In actual fact, it is only free to a select few in the well heeled connected places. Other countries followed, not wanting to be left out of this god-sent financial largesse that just dropped down from the heavens. If money can just be minted out of thin air, only idiots will want to work for their day’s wages. The clanging money minting machines have not ceased over time work since the dark days of 2008. The world sighed with relief and marveled at the master strokes of the Fed. Stock markets all over the world rallied to all time highs again. We only hope that Lionel Ritchie is correct, singing the same tune as the Fed – Let the music play on. This entry was posted on October 16, 2014, 6:53 pm and is filed under Politics, World. You can follow any responses to this entry through RSS 2.0. Responses are currently closed, but you can trackback from your own site.